This 25 cu. 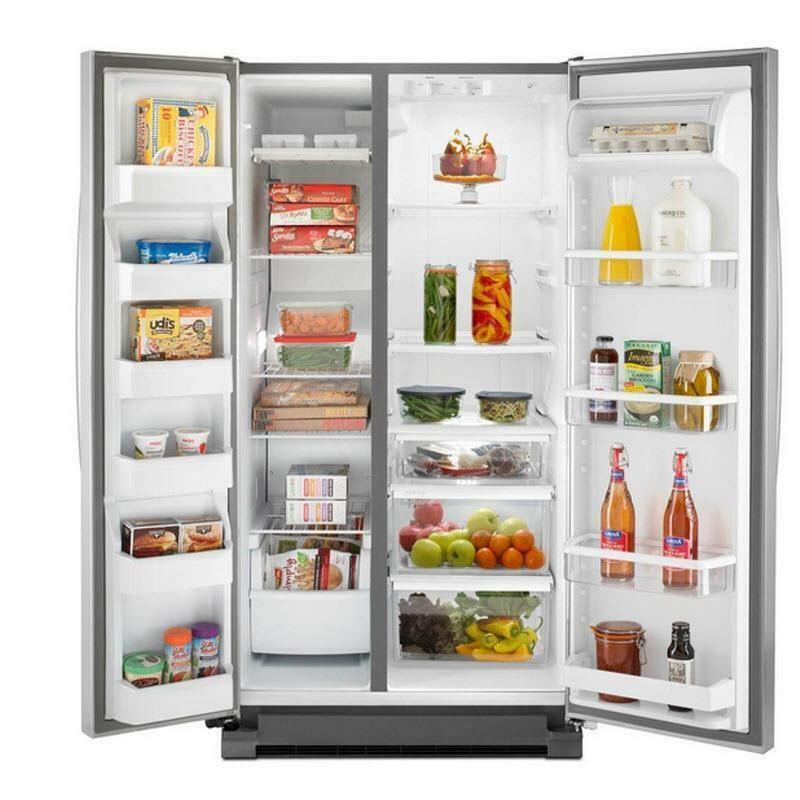 ft. side by side refrigerator offers all the space you need to store your fresh and frozen food. It features the adaptive defrost which saves more energy by monitoring when the compressor is running and defrosting only when necessary. Total 25.2 cu. ft. / 0.71 cu. 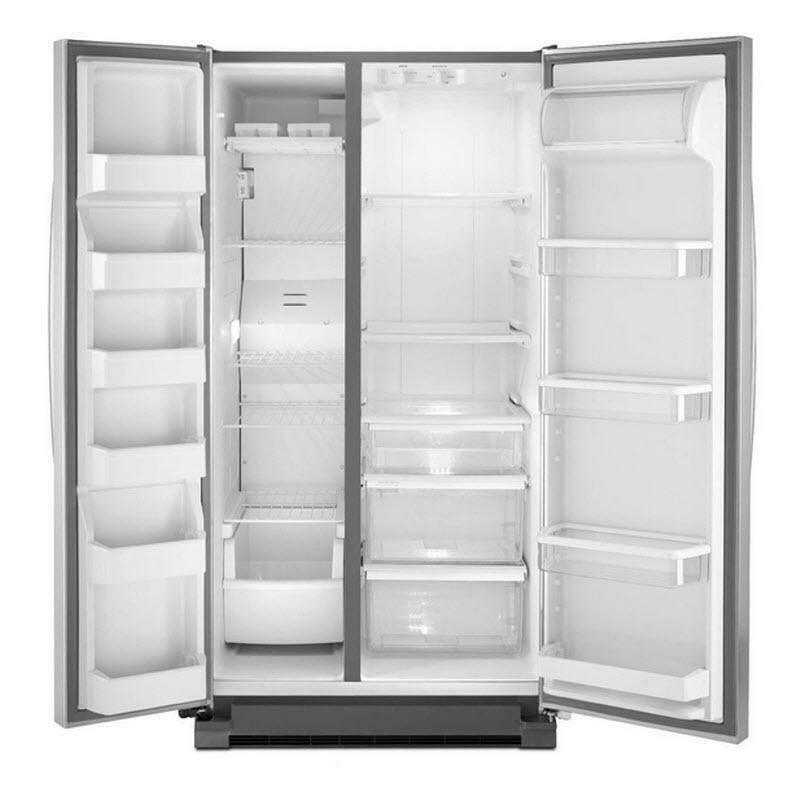 m.
Refrigerator 15.4 cu. ft. / 0.44 cu. 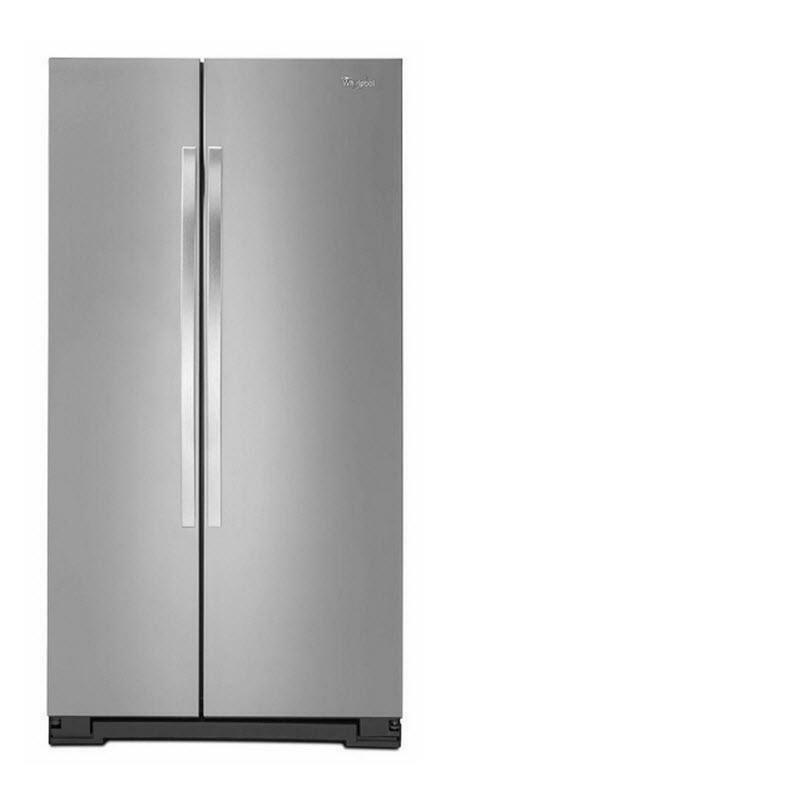 m.
Freezer 9.8 cu. ft. / 0.28 cu. m.
• LED lighting makes it easy to see fresh and frozen food.